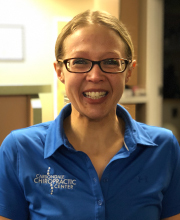 Dr. Melissa McPartland, or “Doctor Melissa”, graduated from NYCC in 2014 with a doctorate in chiropractic. At a very young age Melissa fell in love with the benefits that came from receiving adjustments. She had chronic headaches, SI joint problems and hip pain as a result of a childhood spent horseback riding and running. She realized at a young age that chiropractic care drastically improved her quality of life…..and so her soul purpose was born! You will see that she is passionate about wellness…wellness on a structural, nutritional and even emotional level. She is a devoted chiropractic advocate and is looking forward to meeting you and your family!! Call to schedule an appointment today at (570) 282-1240.